The large former State Office Building, on the southwest corner of Broad and Spring Garden Streets, has recently been converted to luxury apartments by Tower Investments. The newly renovated property is called Tower Place, and it consists of 204 luxury rental apartments in the 18-storey, 300,000 square foot building, originally built in 1958 to house the city’s state government department branches. The building is a very modern-style rectangular tower, with square windows that alternate between slight bay and flat windows, evenly spaced from one another, and is covered in white limestone and clad in metal on the ground level. The state government offices have moved elsewhere, mostly to the upper floors of the Strawbridge and Clothier Building at 8th and Market Streets. This new development, by prolific developer Bart Blatstein, will bring a new level of upscale living to this stretch of Broad Street, that is the upper end of Center City and the lower end of North Philadelphia. The rental apartment units will consist of one and two bedroom units. The different models are named after wealthy American families, such as Carnegie, Rockefeller, Dupont, and Belmont. 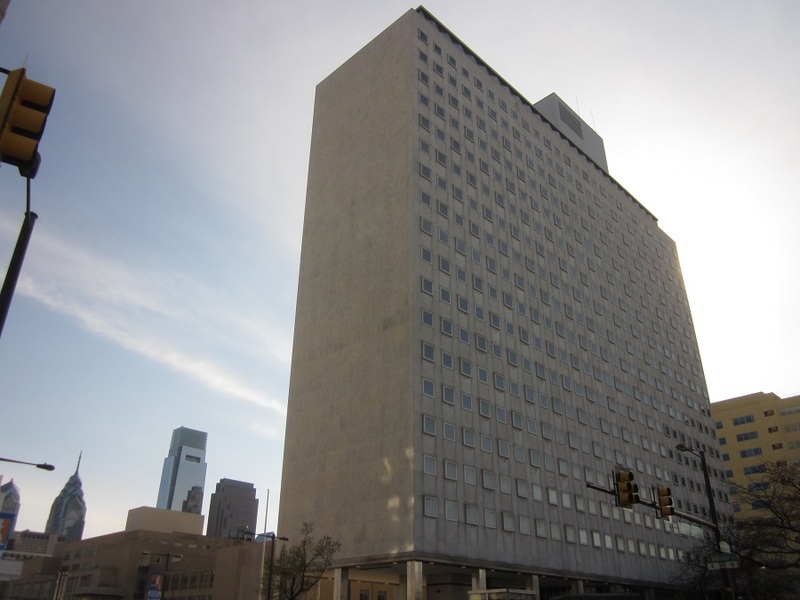 The apartments have the usual stainless steel appliances, hardwood floors, and granite countertops and make the most of the building’s large, 1950’s era square windows, with impressive views of Center City and North Philadelphia and Temple University. The building offers many amenities not often offered in rental buildings, particularly in North Philadelphia, such as a concierge that offers; among other things; continental breakfast delivered and drop-off laundry service, bike storage with complimentary bikes, dog walking service, game room, gym with fitness classrooms, a screening room, and a lounge and business center (the concierge services are available for an extra fee). There is nothing like this on North Broad Street currently, and there are probably no rental apartment buildings in the city with this level of luxury amenities, which may be a sign of the recent unpopularity of condos among luxury developers. That unpopularity may be fading soon, though, as the condo market in Center City is booming again and supply is low. Tower Place could be a good candidate for a rental-to-condo conversion in the near future, however, there may be a market for rental apartments with condo-like luxury amenities, and that diversity of housing could be good for the city. 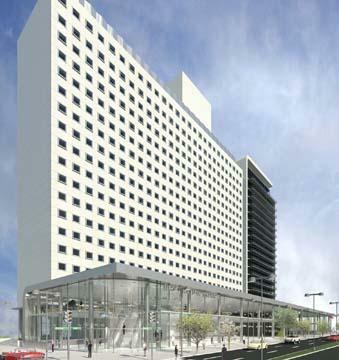 Also, Blatstein is planning a large second phase which would consist of an additional 18-storey tower, west of the current building on 15th Street, and would have another 200 luxury units. 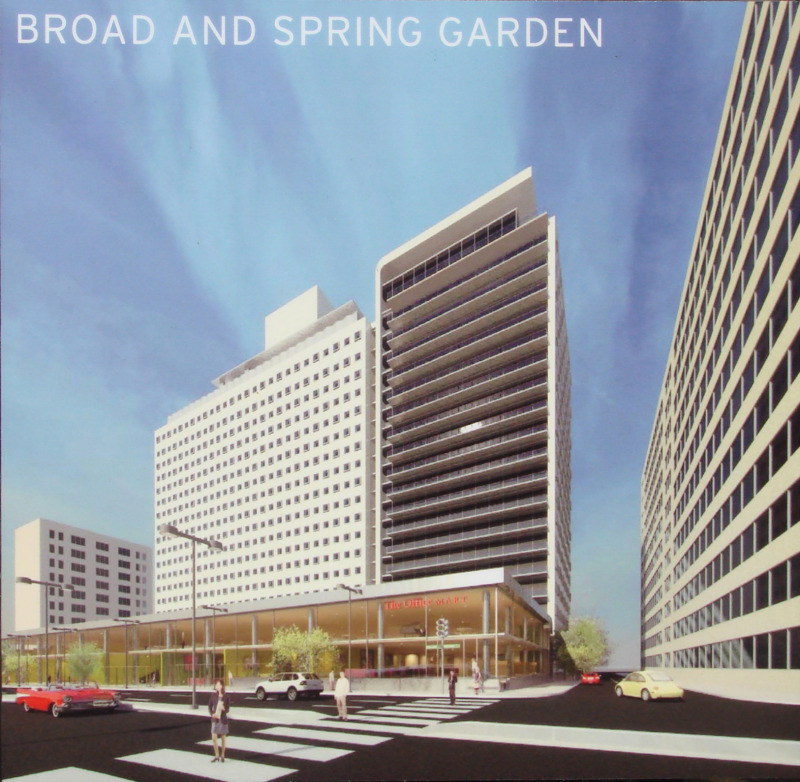 That phase would include a two-storey, 60,000 square foot upscale shopping center, on the current plaza, at the corner of Broad and Spring Garden Streets. That underutilized and rather ugly plaza will be rebuilt and re-landscaped in the short run. The second phase is planned to start in about five years, but maybe sooner if demand is strong enough. This kind of development helps move this once blighted area forward in a big way. It brings Center City style luxury living to the doorstep of North Philadelphia and brings a large amount of residents to what had been a sparsely populated area of the city. Fortunately, it isn’t the only upscale development in the area. Across Broad Street, an old office building was renovated into the 511 N. Broad Street condos almost a decade ago. On the next block north on Broad Street, an old car dealership and garage were renovated into the 600 N. Broad Street development, which has apartments and upscale restaurants on Broad. The developer of that project, Eric Blumenfeld, plans to renovate an old school on the northeastern corner of Broad & Spring Garden into artist’s lofts and would like to eventually build a highrise residential building on a parking lot on that corner. Blumenfeld, also, bought the very blighted, vacant Divine Lorraine Hotel, at Broad Street and Fairmount Avenue, to renovate into luxury apartments soon and he bought the blighted Metropolitan Opera House, at Broad and Poplar Streets, to eventually renovate as well. Other recent developments on or near North Broad Street include the renovation of the large 1500 Spring Garden Street building into office space, the renovation of the monumentally huge 401 North Broad Street building into 2 million square feet of office space (it’s so huge it has its own zip code, 19108), and the former Inquirer printing press building into the School District’s headquarters, just to the south of Tower Place on Broad. Blatstein also owns the former Inquirer headquarters building, south of the School District headquarters, which he would like to convert into a hotel for a casino and entertainment complex, called The Provence, if the state Gaming Board were to grant him the city’s last casino license. Coincidentally, the Philadelphia Inquirer and Daily News also moved into the former Strawbridge and Clothier building on Market East. There are, also, several developments and renovations occurring in the Callowhill neighborhood east of Broad Street, such as the renovation of the Goldtex Building, on 11th Street, into apartments and developments along 13th Street and Ridge Avenue. 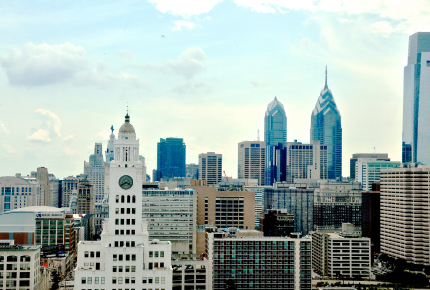 Center City, North and South Philadelphia are all easily accessible by the Broad Street subway station, at the intersection, and the Delaware waterfront neighborhoods and West Philadelphia are accessible by the Route 43 bus on Spring Garden.